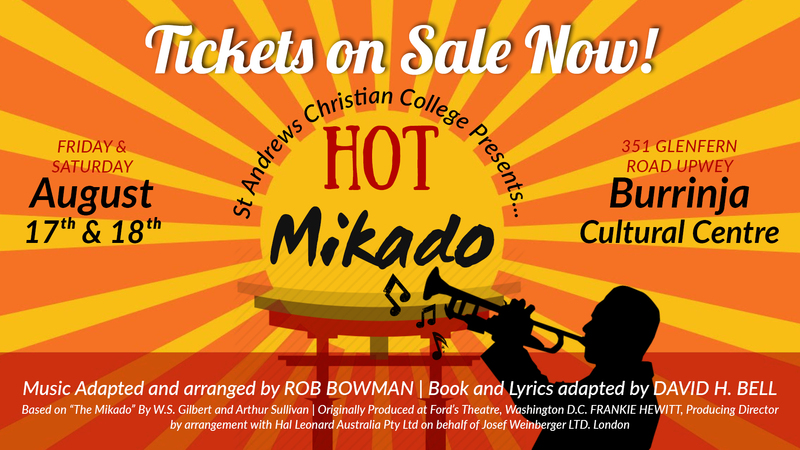 St Andrews Christian College is excited to invite you to the 2018 production of “Hot Mikado”. Our production will showcase the best of the College’s Creative and Performing Arts on Friday 17th and Saturday 18th August. Come along and enjoy talented students from Year 5 to Year 12 singing, dancing and acting, as well as witnessing the beautiful set designs from our Visual Arts students. The College production is a wonderful introduction to live theatre for students, and an all-round great community event. We hope to see as many College families as possible supporting our students onstage. Flirting may seem an innocent pastime. But in Titipu, it can be fatal. That is the underlying threat which creates all of the ridiculous – and uproarious – complications in “Hot Mikado”. It is a wildly staged sendup of the Gilbert and Sullivan operetta, “The Mikado – or, the town of Titipu”. This modernised version retains the spirit of the original. Sticking to the absurd plot Gilbert and Sullivan concocted, this production is all about forbidden love, a pending execution and bureaucratic ineptitude), but adds the element of Jazz music. Filled with colourful sets, songs and dances; this is a production for the whole family. Let the jazz musical with lots of hilarious comedy whisk you away to a small Japanese city with lots of fun and imagination. If you like your entertainment in a topsy-turvy style, “Hot Mikado” is your hot ticket. Run time: 140 minutes including 20-minute interval. 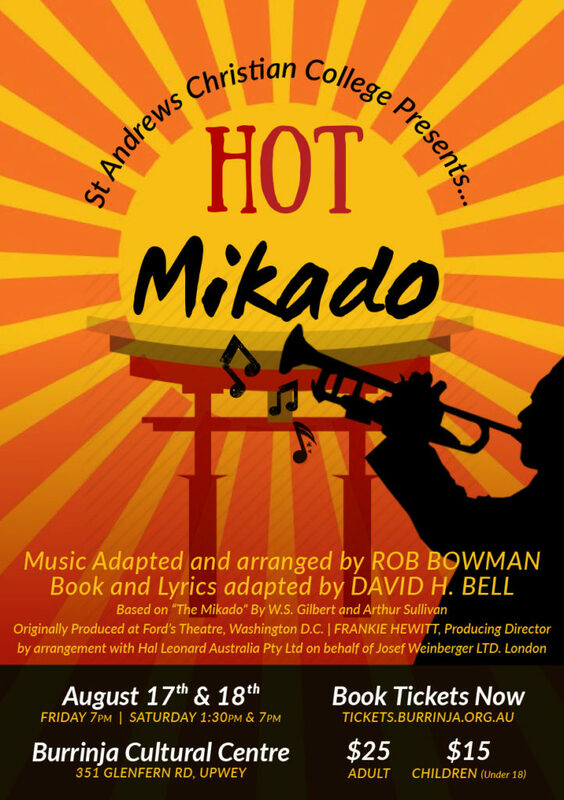 Please note: Hot Mikado is based upon a Gilbert and Sullivan comedy. Parent supervision is recommended.